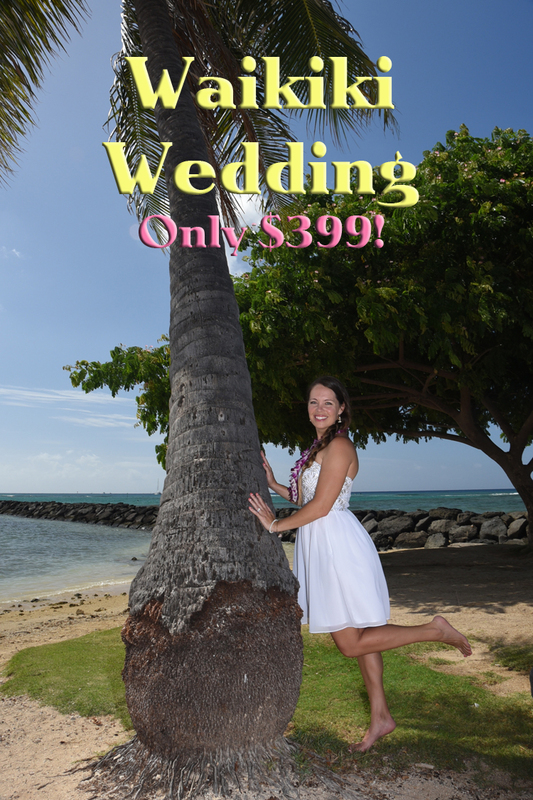 At Bridal Dream Hawaii we've put together all of our best services so you can pick and choose your favorite options and make up your own wedding plan, simple & easy, and affordable too! Rev. Kimo, Rev Chris, Rev Jofrey and Pastor John. Photographer Robert shoots most of our wedding photos. 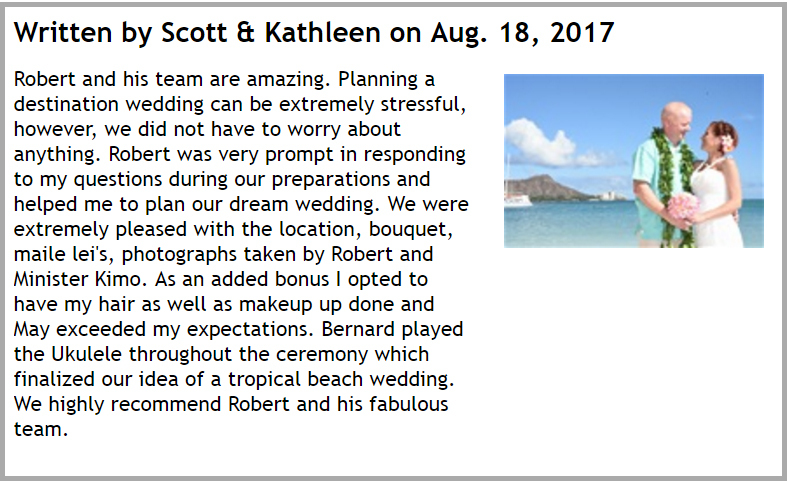 One thing we pride ourselves in is that you will receive no less than seventy high-resolution photos with any wedding package you choose that includes photography. 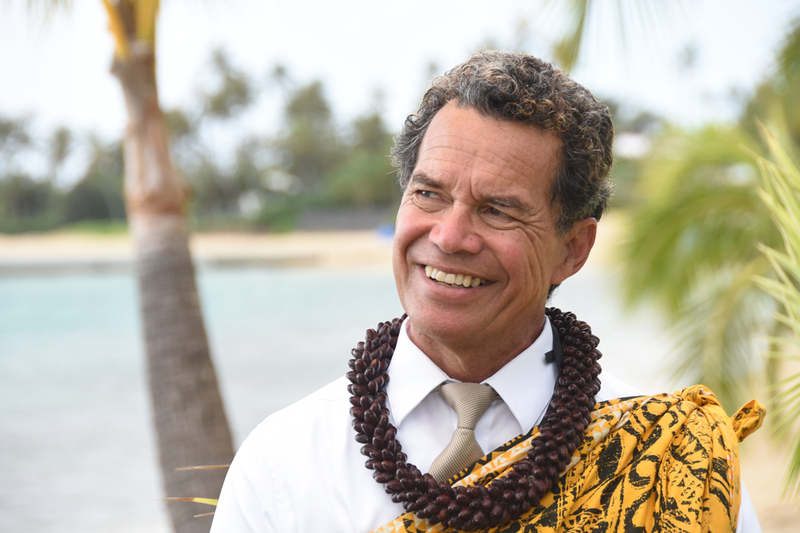 See his work at OAHU PHOTOGRAPHER. You may pick and choose any of the wedding services shown on this package to make up your own wedding plan. 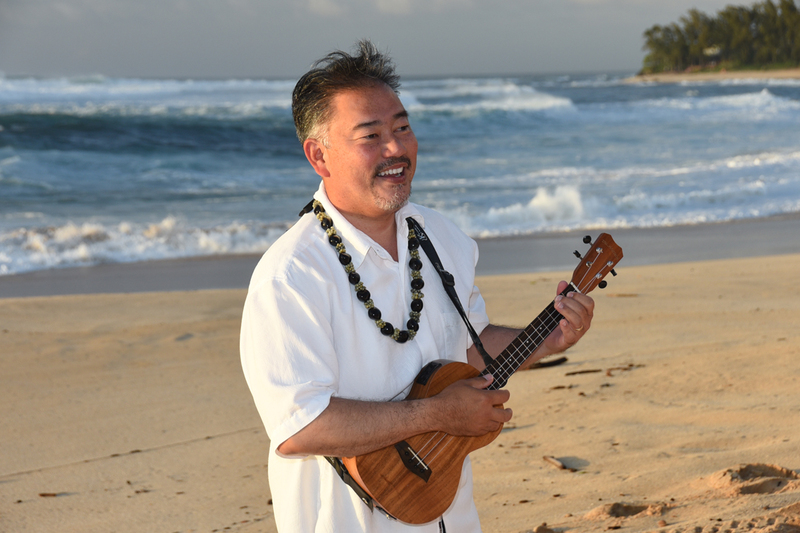 *Ukulele Music by Pastor John is only $99.00 when added to his Wedding Minister services. Other Musicians are available for $175 and up. 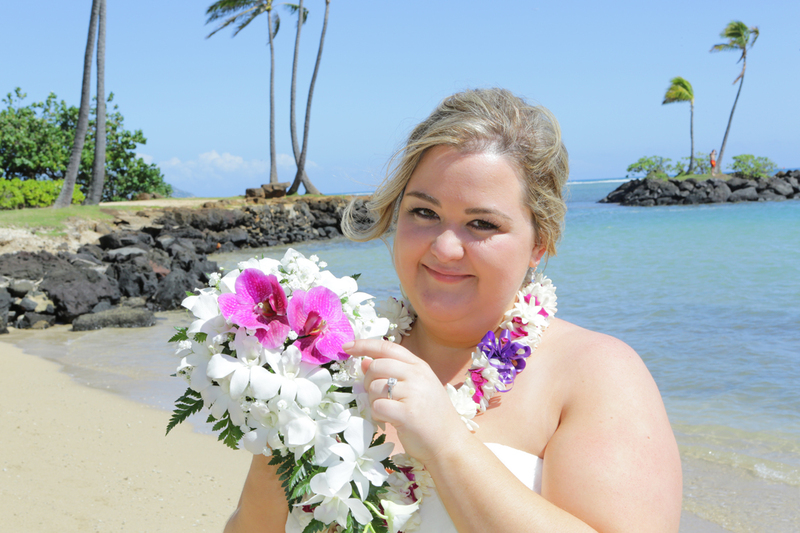 Our KAHALA BEACH WEDDING is a lovely wedding package including your wedding ceremony at beautiful Kahala Beach, professional wedding photography, Bride and Groom's Leis, and Minivan transportation from your hotel in Waikiki. Browse through some of our other wedding packages, both big and small. 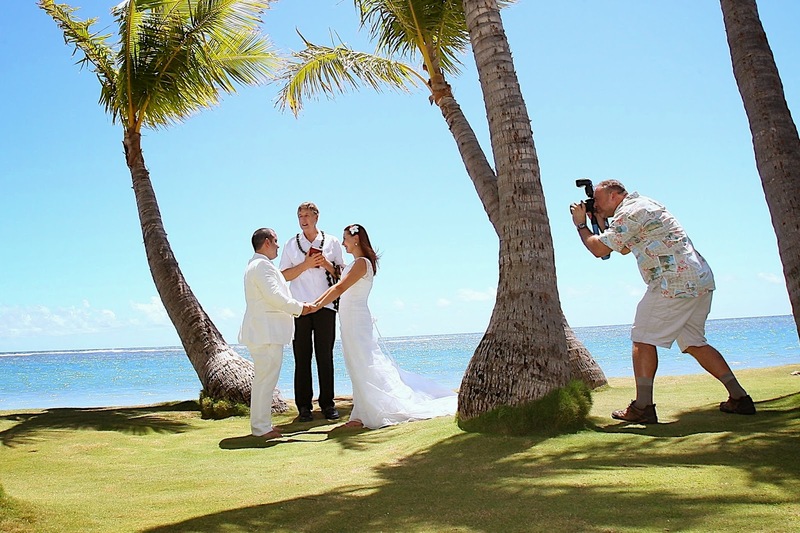 You may want to add a Wedding Video so family and friends can watch your ceremony back home. 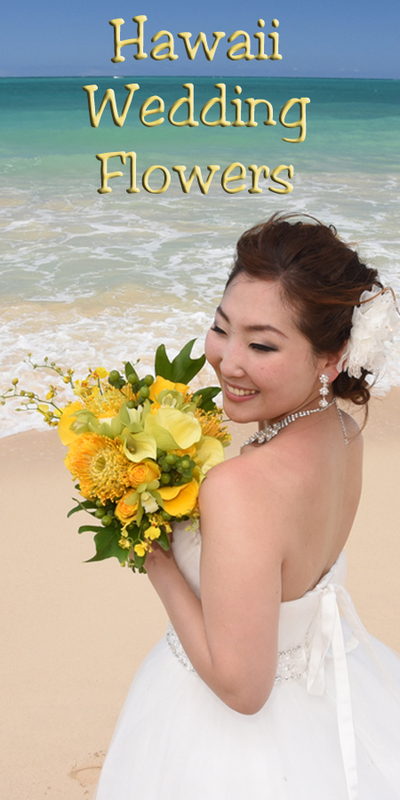 The Bride may wish to treat herself to our Hair and Makeup Artist pampering. Beautiful Waikiki sunset at Ala Wai Beach in South Oahu. Photo by Robert Hamilton. 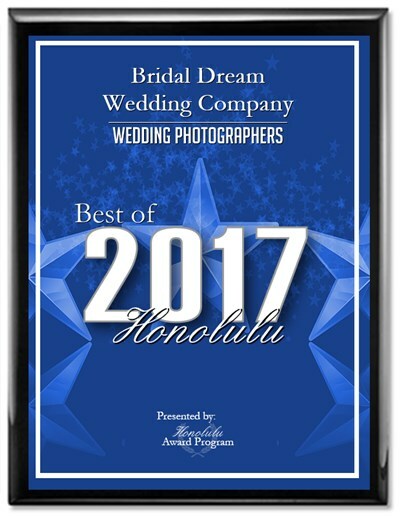 At Bridal Dream Hawaii, we do our utmost to promptly answer your inquiries, and provide quality service at an affordable price, at some of the most beautiful locations in Hawaii. 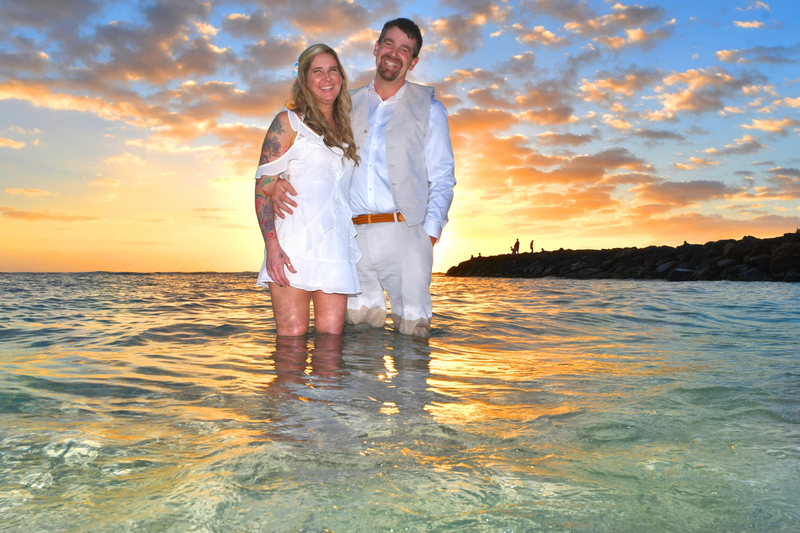 See our most recent wedding photos, updated nearly every day at FACEBOOK. Tell us your favorite wedding music so we can put your favorite song on your wedding video or photo slideshow. 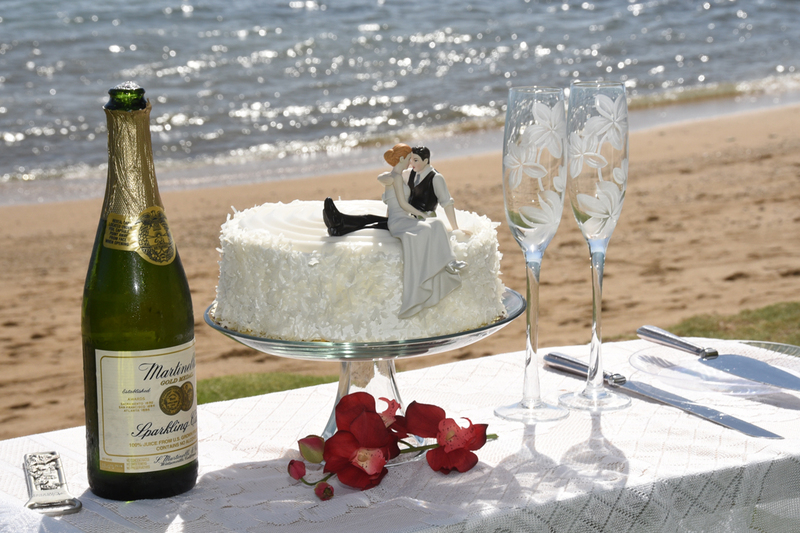 Let us know your wedding ideas and what kind of wedding packages or services you are interested in. 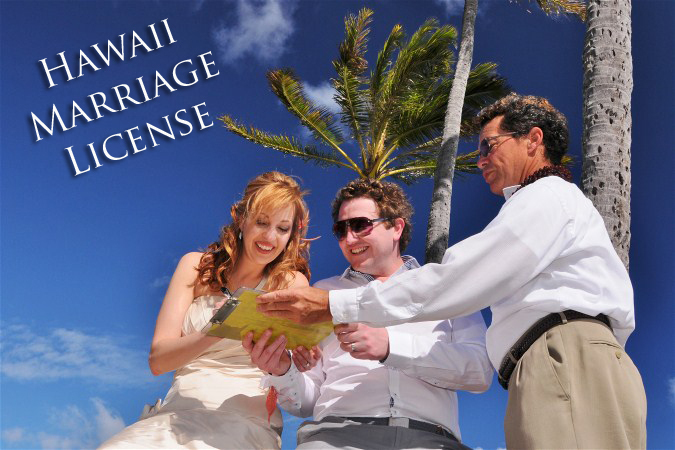 *Wedding photos, video, and souvenir certificate are delivered digitally. You may print your photos at your favorite photo lab. See us in Japanese & Spanish too.